Speaking of Glitz Design...we are announcing our new design team this week! Over on the Glitz Design Blog we announced 2 returning members, me & Noel, and 1 brand new designer, Stephanie!! You should click on the link and check it out once you're done here...we all answered a small questionnaire, and there are photos of my craft area included in my segment! If you've never seen where I create....I think it is a pretty cute little space. Nothing big or elaborate....but I love it! Since I'm celebrating my continued partnership with Glitz Design, I figured I would share this card today! It uses the Color Me Happy 6x6 & 8x8 paper pads, among other items. Did you know that the paper pads actually have more paper designs than the 12x12 counterparts? 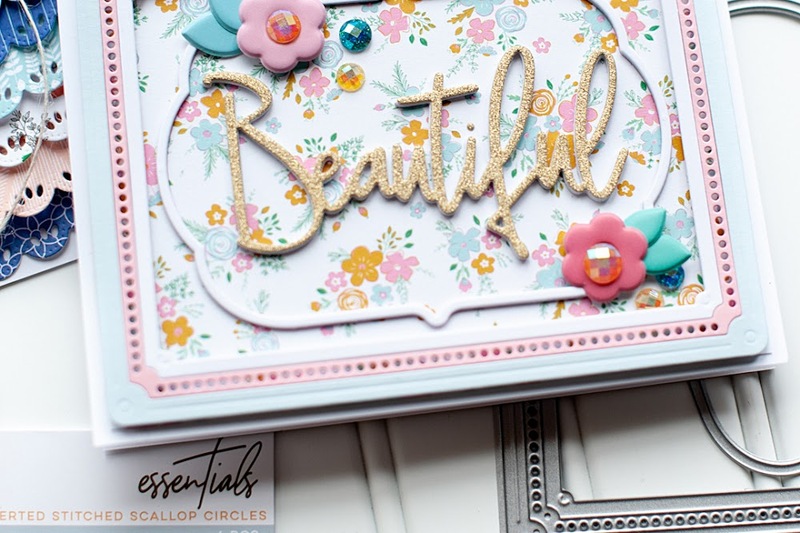 They are fabulous, and perfect for card making, or layering on your layouts!! Definitely check them out if you get a chance. Here is my card! 2. Cut woodgrain paper slightly smaller, then adhere. 3. Cut two paper strips, fussy cut the hello scallops, and layer them all to the front. 4. Cut a banner edge to chalboard paper, stamp the sentiment to it, then layer to the front with a polka dot strip. 5. Stamp the arrow to the card front, pointing to the sentiment. 6. Add the pink heart stickers, the ombre tab & letter stitckers above the stamped sentiment banner. 7. Add a strip of rainbow jewels across the seam of the sentiment banner. 8. Add a glittered photo corner to the upper right corner. 9. Add a cloud sticker, sequins & a wood veneer convo bubble to finish. Isn't that a fun & eclectic little card? It's a little random, but I like it! :) We will be announcing new team members every day this week on the Glitz Blog, so be sure to check back each day to see who is returning, and who is brand new!! Well, that is everything I have for you today! I hope that you have a wonderful rest of your day! So bright, and sweet!! Love it!! How exciting that you're getting to go to CHA! And I'm not at all surprised you are still with Glitz. It's a no brainer. You rock that stuff! Loving the SSS stamps with this card! Lucky, lucky girl, to get to go to CHA!! 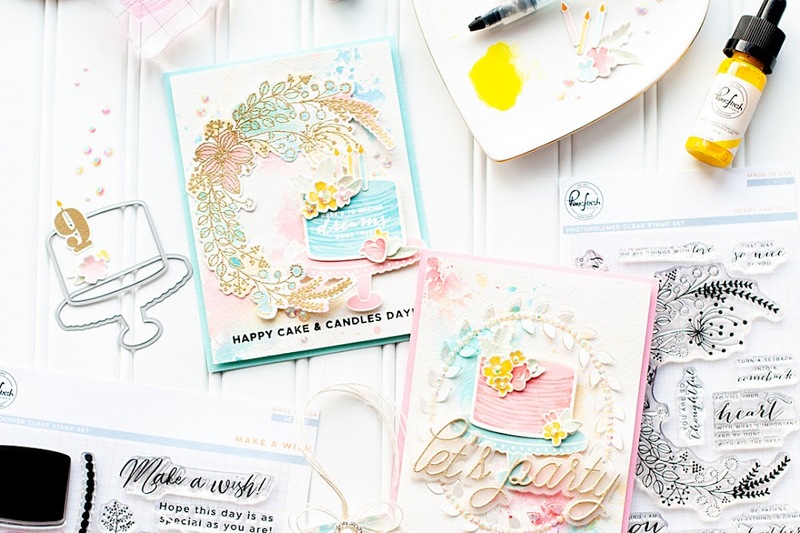 Your exuberant card reflects your feelings well - so many fun details! 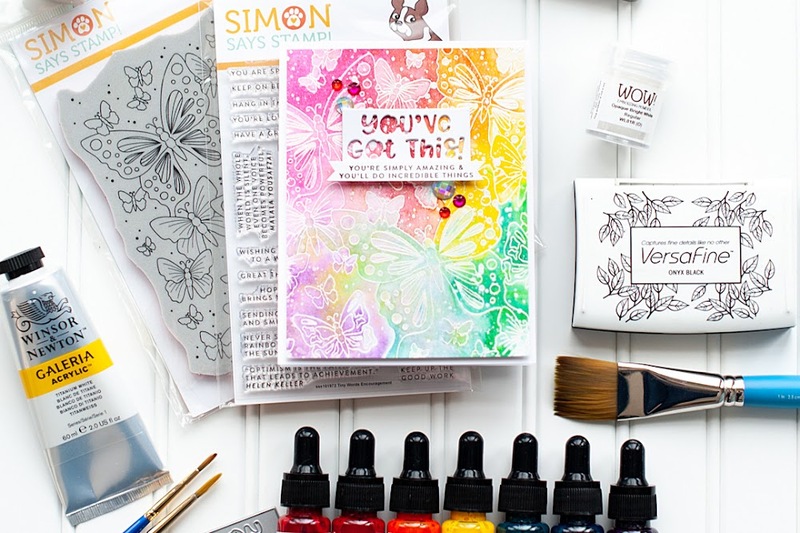 Thanks for playing along with us this week at the Simon Says Stamp challenge! How do you do it? You can combine so many cool embellishments and it just looks right. When I try, I get a big ole jumble! CHA! What fun! beautiful card. Congrats on DT with Glitz for next term. Gorgeous card! Love all the bling and the different textured embellishments!! Thanks for joining us this week at Creative Card Crew!